MightySkins Skin For Samsung Odyssey VR - Star Rays | Protective, Durable, and Unique Vinyl Decal wrap cover | Easy To Apply, Remove, and Change Styles | Made in the USA by MightySkins at Kode Fu Guru. MPN: SAODY-Star Rays. Hurry! Limited time offer. Offer valid only while supplies last. Do You Want Your Samsung Odyssey VR To Look Different Than The Rest? You're in the right place because we've got exactly what you're looking for! You're in the right place because we've got exactly what you're looking for! This Star Rays skin is the perfect way to show off your gear! Or with hundreds of other MightySkins designs, you can be sure to find one that you'll love, and that will show off your unique style! Samsung Odyssey VR is not included. 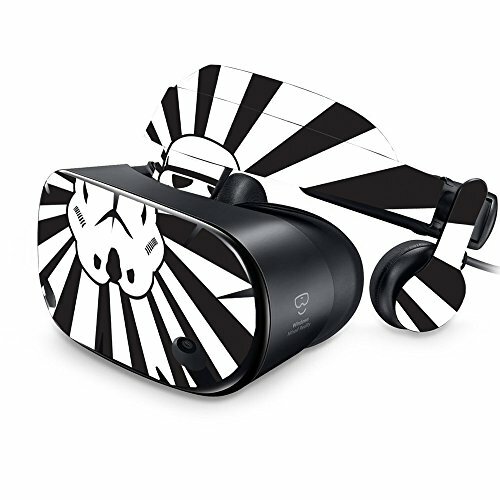 HUNDREDS OF CHOICES: Show off your own unique style with MightySkins for your Samsung Odyssey VR ! Don't like the Star Rays skin? We have hundreds of designs to choose from, so your Odyssey VR will be as unique as you are!